Product categories of Disc Plough, we are specialized manufacturers from China, Disc Plough, Disc Plough For Tractor suppliers/factory, wholesale high-quality products of Tractor Double Disc Plough R & D and manufacturing, we have the perfect after-sales service and technical support. Look forward to your cooperation! 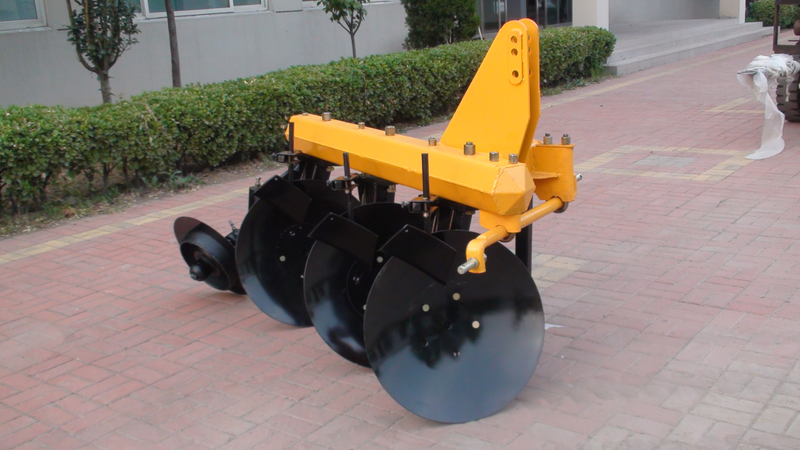 This kind of Disc Plough is suitable for operation on the field with grasses, straw and stems of crops or plants, big soil resistance and with many stones and brickbat, etc. in the field. It is good at cutting the grasses and straw and free from stopped by the grasses, soil or stones, etc. The disc plough are mainly used for tillage on dry cultivated or fallow land ,especially on high yield `manure land, wheat and rice stubble fields. They have the characteristics of small resistance and easy operation etc.